Gold prices rallied back to trade above the $1,250 handle with prices closing yesterday at $1,256, up 1.46% for the day. 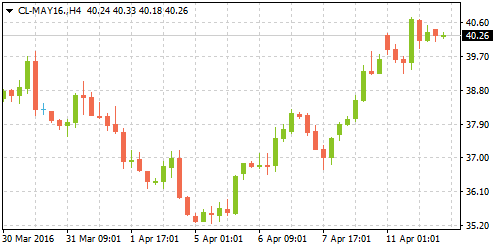 The precious metal gained despite a modest risk-on sentiment in the markets which saw global equities starting off on a bullish note yesterday only to close back in the red towards the closing hours. Weak energy and consumer goods prices in February saw Italy's industrial production falling 0.60% in February, erasing the gains from the previous month. 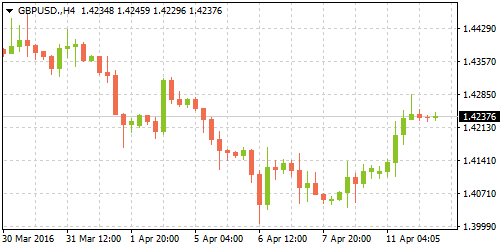 Data released by Istat yesterday showed that energy prices fell 2.90% on a month over month basis while consumer goods fell 0.50% with non-durable goods declining 0.70% but were offset by durable goods which expanded 1.20% for the reported month. On a yearly basis, Italy's industrial production increased 1.20% but missed expectations of a 1.50% increase. January's numbers were also revised lower to 1.70% from the initially reported 1.90% increase. Last week, Italy cut its growth forecasts for 2016 and 2017 and expects its economy to grow 1.20% and 1.40% respectively, down from previously estimated 1.60% growth. The consumer price index in Norway posted a surprise, accelerating to a 5-year high after rising for a third consecutive month. Transport and electricity prices were the major drivers pushing inflation higher. The CPI increased 3.30% on a year over year basis in February, up from 3.10% previously. Analysts were forecasting the inflation rate to remain unchanged. For the month, Norway inflation grew 0.50% (6% per year), same as a month ago and rising above forecasts of 0.40%. 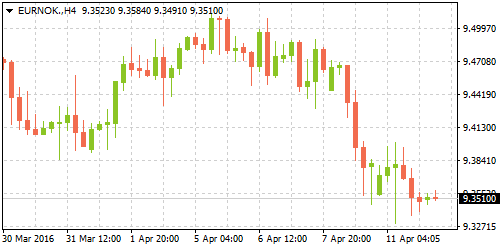 In separate data, the statistics office showed that Norway's PPI was also higher, rising for the first time in March, up 1.30% from February following a decline of 2.60%. Russian energy minister Alexander Novak told journalists on Monday that production forecasts for 2017 would remain at the same levels of 2016. He said that Russian oil production for this year will be between 537-540 million tonnes. He said that this level corresponded to the "oil freeze" agreement with OPEC and some non-OPEC member countries. The comments come ahead of the April 17th meeting in Doha where representatives of oil producing nations hope to reach an agreement on freezing oil production levels in a bid to stabilize the crude oil markets. Last week, WTI crude oil futures rallied by over 7.0%, with prices currently trading near a 2-month high. 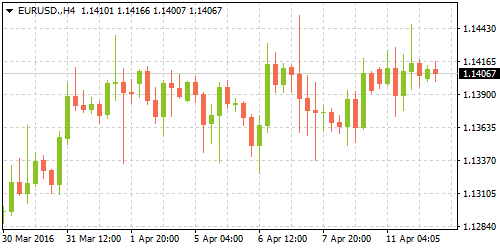 Consumer price index data from the UK will is due for release later today at 08:30 GMT. Analysts expect to see a rise in the CPI in March, an uptick of 0.40% on a year over year basis, compared to 0.30% in February. Higher oil prices over the past month is being seen as a major reason for higher forecasts for inflation. On the core, UK CPI is expected to rise 1.30% on an annualized basis, up from 1.20% seen in February. The BoE's inflation target is set at 2.0% and the central bank expects to see inflation running well below its target into 2016. However, the recent rise in oil prices is likely to ratchet up short term consumer prices. The Bank of England will be meeting later this week on Thursday for its monthly monetary policy review.